Hello friends! This is Doug Batchelor. How about an amazing fact? Most Americans are acquainted with Washington Irving's story about Rip Van Winkle, an early American villager of Dutch descent, who escapes his nagging wife by wandering up to the mountains of New York. After some bizarre adventures he falls asleep and wakes up 20 years later, only to find out that his wife and best friends have all died. He immediately gets into trouble when he declares himself a loyal subject of King George III, not knowing that while he slept, the colonies had broken free of England and America is now an independent country. Rip Van Winkle might be a fancy fairytale, but there really is a story much like it. In 1984, 20-year old Terry Wallis, married with a six-year old girl, was involved in a serious car wreck in Mountain View, Arkansas. The driver died instantly. Terry, himself, went into a coma. His family hoped it wouldn't last long and that he soon would recover. Well he didn't. And for 19 long years, he existed in a semi-vegetative state in which he had to be constantly cared for. Then, much to everyone's incredible surprise, on June 13th 2003, Terry suddenly awoke in his hospital bed and uttered his first words, which were, "Mom," then "Pepsi," and then "milk." The words began tumbling out. At first just a few nouns and then eventually a torrent of phrases. Terry's father, Jerry Wallis, said his son talks almost nonstop now. Before long, Terry was talking as if nothing had happened, as if he had been in a coma only for a few days and not 19 years. In his mind, it was still 1984 and Ronald Reagan was President. The Berlin Wall still stood. The cell phones were the size of bricks. The Internet was largely unknown. The International Space Station was, well, a Star Trek episode. And the Twin Towers were still standing. He thought that Bill Clinton was still the governor of Arkansas, and that he was only 20 years old. In addition, the last he remembered of his daughter she was an infant, not the 19-year old young woman who stood beside his bed. Doctors are still mystified regarding this mental resurrection. Sadly, Terry's body has severely atrophied after 19 years in bed. But did you know the Bible teaches there is a real resurrection coming in which all of those who have been asleep in Jesus will rise to eternal life with new, glorified bodies? Stay with us friends. We're going to learn more as Amazing Facts brings you this edition of Bible Answers Live. Pastor Doug: Welcome once again listening friends to a fresh edition of Bible Answers Live. We are very thankful for the opportunity to visit with you and study God's word together. This program is for that purpose. If you have any Bible-related questions, we welcome you to call and ask. We think that the truth will set you free. God wants us to search and to find. He wants us to understand; and it sometimes requires a little investment of time and searching. So we're going to search together. If you have a Bible question, then give us a call. You've heard the toll-free number. One more time, it's 1-800-GOD-SAYS, that's 1-800--free phone call--1-800-463-7297. Lines are open now. Good time to pick up the phone and get on this program this evening. My name is Doug Batchelor. Pastor Jëan Ross: And my name is Jëan Ross. Good evening Pastor Doug. Pastor Doug: Good evening Pastor Jëan. Pastor Jëan Ross: Glad to have you back. You were gone last week but we're glad that you're with us again today. Pastor Doug: It is. Well, actually, we sort of traded places. We both went up to the beautiful Redwoods for a Christian convocation up there and I was there. And then I left, and you came and came back. It's good to be back together and be able to study with our friends. Pastor Jëan Ross: That's right. Let's start with a word of prayer. Dear Father, once more as we open up Your word, we ask for Your Holy Spirit's guidance. We recognize that in order to understand Your word accurately, we need the Holy Spirit. So be with us tonight. We ask that You would be with those listening and those that call in; and be with us as we open the word to give answers. For this we ask in Jesus' name, amen. Pastor Jëan Ross: In the amazing fact that you opened the program with, just tremendous. You can imagine waking up after 19, 20 years in a coma and how the world has changed. And you think of the, for example, the patriarchs, David and Abraham, waking up in the resurrection after not 20 years, but hundreds, thousands of years! Pastor Doug: --when we live today. And he'd probably think that everything was, with the computers, everything was sort of obsessed with witchcraft. Pastor Doug: But it's going to be like that. Some have wondered, "What will it be like for people in the resurrection?" Pastor Doug: --and the Judgment, the day of the Lord, is again, after the second coming. So, when it says, "to be absent from the body, and to be present with the Lord," that means the next conscious thought, when a person's body dies, is the resurrection. But for them, a thousand years may have gone by. They have no sense of that. It's instantaneous, as far as they are concerned because God lives in all dimensions of time. For instance, in Acts chapter 2, you mentioned David a minute ago. Here we have Peter preaching on the Pentecost sermon. And he says, "Men and brethren, let me freely," this is Acts 2, verse 29, "let me freely speak to you of the patriarch David," this is King David who killed Goliath--he's going to be saved, "that he is dead and buried in his tomb, his grave is with us to this day." And you jump down a few verses and he says in verse 34, "For David is not ascended into the heavens." So here you've got a thousand years after David dies, Peter says he's dead, buried, not in heaven, in his grave. Pastor Doug: I mean, you can't be any more clear than that. But for David, what did it seem like? Did it seem like he's been in the grave 3,000 years? Pastor Jëan Ross: Just a moment. Pastor Doug: His next conscious thought is he wakes up and he doesn't realize 3,000 years have gone by. He sees the Lord coming, he gets a glorified body; much like the amazing story we heard about Terry Wallis who wakes up and 19 years have gone by and he has no sense of it. Pastor Doug: That's why it says in 1st Corinthians 15 the resurrection will be like, "a moment, in the twinkling of an eye." At the last trump, the dead will be raised incorruptible at the coming of the Lord, it says it happens. So, some of our friends have confusion about that. They wonder, "Why do you walk through a cemetery and one grave says, 'Our dear mother is now singing with the angels on the golden streets.' The very next tombstone says, 'Our mother is resting, waiting for the resurrection trump.'" Pastor Doug: And they're wondering, "Where is mother, or grandma?" And there's confusion in the Christian world about when do we go to heaven and understanding what the Bible says. It's a beautiful, liberating truth that really helps people. If folks want more information, we have a very popular study guide on the subject. They may have loved ones that have died and they're wondering are they there now. What does the Bible teach? Pastor Jëan Ross: The study guide that we have for anyone who would like this, all you'll need to do is call our resource number. The title of the study guide is, "Are the Dead Really Dead?" and it deals with this whole subject of what happens after a person dies; and also talks about the glorious hope that we have in the resurrection. So if you'd like this free study guide, call the resource number. The number is 1-800-835-6747, and the free study guide is, "Are the Dead Really Dead?" Pastor Doug, we have some Internet questions here. We appreciate folks going to the Amazing Facts' website and going to Bible Answers Live; and that's where they can type their Internet question. The first question, "Why are there differences in worship among different denominations?" 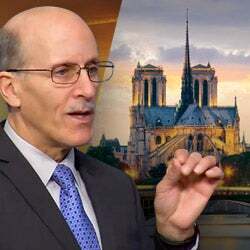 Pastor Doug: --and I've seen that, to a much more reserved program where folks are sitting just a little more stoic and the organ is playing, and you've got everything in between. Some of it is preference; but I'd like to think that the Bible does have guidance regarding how God wants us to worship Him. Pastor Doug: And some of the best information you find there is when they built the sanctuary and during the time of David, David helped lay out, and even Moses helped lay out, at the direction of God, what's involved and the principles of worship. And folks do need to study this subject, Pastor Ross, because, in the very beginning, Adam and Eve had two boys, Cain and Abel. They both worshiped God. One did it appropriately; the other did it inappropriately. And the one who did it his own way killed the one who did it God's way. Pastor Doug: Then you jump to Revelation, the end of the Bible, and the big issue of the mark of the beast is, "he causeth all to worship...." Well obviously, the beast is telling people to worship incorrectly, the wrong object and the wrong way. Pastor Doug: In the story of Daniel chapter 3, the king makes a big image and those who don't worship the image should be killed. So, folks really do need to study and understand the subject of worship. There is a Biblical way that God is inviting our worship; and there are some things that are, maybe, very popular but they border on the theatric for entertainment value. And I think we need to know the difference. Pastor Jëan Ross: Good point. Next question, "Is it okay for anyone who is a Christian, or consecrated to God, to preach a sermon from behind the pulpit, or is it reserved for ordained ministers?" Pastor Doug: Well, you know, a lot of things could be called a sermon. When Peter spoke at Pentecost, he didn't say, "Now everyone sit up. I'm going to preach my sermon." Pastor Jëan Ross: Not recognized by the priests or rulers. Pastor Doug: Yeah, he wasn't formally recognized. God calls people to ministry, but, you're a pastor, ordained. I'm an ordained pastor; but just last week, I had one of our elders sharing in our church. I think pastors need to be very careful and jealous about that. The pulpit is a sacred place. Pastor Doug: You want to know whoever is going to stand there and speak for God that they are consecrated, that they know what they're going to say, and I'm very careful about who I want in that position to feed the sheep because if they get fed the wrong thing, they can get sick. Pastor Doug: Do they have to be ordained as pastors? Not necessarily. The Lord called some interesting people. One time, the disciples came to Jesus and they said, "There's this fellow out there who's preaching in Your name and he's not one of our group. And we told him, 'Cut it out!'" And Jesus said, "Don't forbid him because he's either with Me or against Me." Pastor Doug: So the Lord has raised people up that may not have the official ordination or training, but they're speaking for God. And at the same time, pastors need to be careful who they allow into that sacred desk of the pulpit. Pastor Jëan Ross: Alright. Thank you very much Pastor Doug. 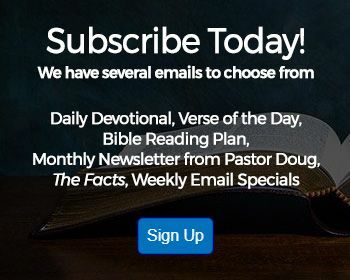 Again friends, if you have a question you'd like to have us address here, you can go to the Amazing Facts' website; and on the link, Bible Answers Live, you can just type in the question and we will get that. Let's go to the phone lines. Our first caller is Walter who's listening on the Internet, calling from York, Pennsylvania. Welcome to the program. Walter: Hello, thank you. My question is in regards to the Apostles' Creed. One of the lines in the Apostles' Creed says, "He descended," that's speaking of Jesus here, "He descended into hell and the third day He rose again from the dead." And I was kind of wondering what that meant when they say, "He descended into hell"? Pastor Doug: Yes, I think the way it's reading here, it says, "Who was conceived of the Holy Spirit, born of the virgin Mary, suffered under Pontius Pilate, was crucified, dead, was buried. He descended into hell." Now, the word "hell" typically means the "grave" in most places in the Bible. The Old Testament word is "Sheol." The popular New Testament Greek word is "Hades." But there are a couple of places where it refers to a place of punishment. In Greek mythology, Hades was a place of punishment guarded by Pluto, the god of the darkness. By the way, the Apostles' Creed was not written by the Apostles. The passages of it go back to Ignatius in the end of the first, mostly second, century. But they don't find any complete copy of the Apostles' Creed before the fifth century. So, in other words, the oldest copies they've got of the whole thing is the fifth century. So they don't even know the exact date of the entire Apostles' Creed. Calvin, in his notes--I saw your question up here and I went to the Internet to find out what he said. Calvin admits that the word "hell" there typically means the grave; but he thinks that it may be referring to an ancient belief that Jesus descended into this place of punishment to preach to the patriarchs who had died before the time of the cross and give them a second chance. And that's based on a passage--are you still with me on what I'm saying here Walter? Pastor Doug: That's based on a passage in 1st Peter chapter 3, verse 18, where it says, "For Christ also suffered once for sins, the just for the unjust, that he might bring us to God, being put to death in the flesh, but made alive by the Spirit," now listen carefully, "made alive by the Spirit: By whom he went and preached to the spirits in prison; who formerly were disobedient, when once the divine longsuffering waited in the days of Noah." Now some here think, "He preached to the spirits in prison, that means that when Jesus died on the cross He went down to hell and gave people a second chance." Well that teaching would fly in the face of everything else in the New Testament that says, "It's appointed unto men once to die, but after this the judgment." This life is our only time. When we die, we take our sentence and our works with us. There's no preaching after death. What does it mean then? Well it's simply saying Christ was made alive by the Spirit, by Whom He preached to the spirits in prison, going back to the days of Noah. It's saying the same Spirit that resurrected Christ, is the same Spirit that pled with people back in the days of Noah. And here Peter is referring to Genesis chapter 6 where it says, "My spirit will not always strive with man." God strove with people, preached through Noah for 120 years that they might repent. That's all it's saying. Christ, when He died, He went to sleep, and He woke up the third day. There's no record of His doing anything other than that. And so the idea that Jesus was wandering around in spiritual realms preaching is sort of a pagan teaching that's not in the Bible. So in the Apostles' Creed, even modern scholars aren't sure whether they're referring to the grave, or that Jesus was off preaching somewhere. Walter: Great. Thank you very much. Pastor Doug: Alright. That's the history of it. Hope it helps. Pastor Jëan Ross: Thank you Walter. Our next caller is Joseph listening on WMCA in New York. Welcome to the program Joseph. Joseph: Hello Pastor Doug and Pastor Ross. Joseph: I have a question, sir, pertaining to Melchizedek. Joseph: I believe in the Bible it mentions that Abraham paid him tithes. Joseph: So I conclude from that that Melchizedek was preaching religion before Abraham was on the scene actually. And if he preceded Judaism and preceded Christianity, actually what religion was he preaching? Pastor Doug: That's a good question Joseph. There are three major divisions of God's truth in Bible history. Stay with me. Between the time of Adam and Abraham, you had the patriarchs. That would have been Noah, Enoch, Methuselah, God's people who lived. They had the truth of God, Seth. They weren't Jews. They did not practice circumcision, but they were God's people. Sometimes they're called the sons of God. Now up until the time of Abraham, that was the truth. Melchizedek, some have even speculated Melchizedek may have been Shem. Shem was still alive at the time of Abraham; and they wondered if Shem had followed Abraham to this new land of Canaan and that he was the high priest of the country. That's just a Jewish tradition. We have no Bible proof of that. But Melchizedek was a type of Christ, in that he was one of the patriarchs who did worship the same God Abraham worshiped. Keep in mind that everyone who survived after the flood, they all came from Noah. They all knew about the true God. Many of them drifted; and Melchizedek was one who still worshiped the true God. It says he was the king of Salem. The word "Melchizedek" means "king of righteousness." He lived in the place that was later known as Jerusalem. When Abraham came back from the slaughter, he brought forth bread and wine. So here he's a very powerful type of Christ. Jesus is our King of Righteousness. He gives us the covenant in the bread and the grape juice; and He lives in the New Jerusalem; and we pay our tithes to Him. Joseph: I often wondered if he was real or if he was mythical. Pastor Doug: No. He was a real person. Pastor Doug: It speaks it as a fact that Melchizedek was the king of Salem. You don't give tithe to a ghost. Joseph: No, that's for sure. Pastor Doug: And so the very fact that he received tithe of Abraham; and keep in mind, when Abraham came back from the slaughter, he wasn't alone. He had all of the captives he had rescued when he went through Salem back then. Joseph: What slaughter is that Pastor? Pastor Doug: Well, Lot had been captured by these five kings of Damascus lead by Chedorlaomer. Abraham then rescued Lot and he came back. He saved all the people of Sodom. Before Sodom was destroyed, they were actually saved. So hopefully that helps a little bit Joseph. Joseph: Thank you. Thank you, God bless you both. Pastor Doug: Alright. God bless you. Pastor Jëan Ross: --just a few lines. Pastor Doug: That's why Paul says, "...without lineage, beginning or end of days." Pastor Jëan Ross: Hebrews chapter 7. Pastor Doug: --and disappears just to the people he's from; and he's a type of Christ in that Jesus is without beginning and end. Pastor Jëan Ross: Right, right. Pastor Doug: And that's what Paul is referring to. Pastor Jëan Ross: And what an important work he did. Our next caller is Mark. Mark, welcome to the program. Pastor Jëan Ross: Mark, are you there? Pastor Jëan Ross: Alright, your question? Mark: Okay. My question is regarding baptism. Do I need to be baptized into an organization, or could I be baptized among friends and family without having to belong to an organization? Pastor Doug: Alright. That is a good question. A lot of people ask about that because, of course, baptism they see as a commitment to Christ. And they say, "Well can't I be committed to Christ without becoming part of some organized religion?" And really, no, and I'll tell you why. Baptism, by its very nature, means marriage to Christ and becoming part of His body. Matter of fact, if you read in Acts chapter 2, verse 41, it says, "Then they that gladly received his word were baptized: and the same day there were added unto them about three thousand souls." The people who were baptized were added to the church. And then you can read again in verse 47 of Acts 2, "Praising God, and having favour with all the people. And the Lord added to the church daily such as should be saved." So those who were baptized were joined to the church. Baptism is becoming part of the body of Christ. And so, we are baptized into Christ. If the church is also called the body of Christ, it really is impossible to be truly baptized without being part of the body. In other words, it would be like a person saying, "I want to get married, but I don't want to get married to anybody." So, how do you get married without getting married to somebody? Can you imagine, I mean, you know, even in a gay wedding, they marry someone else--not that I endorse that--but how do you get married to nobody? And so baptism is baptized into Christ; and that means you must be part of His body. People come to me sometimes, they say, "Pastor Doug, you've convinced me. I want to accept the Lord and I want to get baptized, but I don't want to become part of a church." Part of the reason for that, Mark,--and I'll just be very honest with you--is there is accountability when you're part of a church. There is some responsibility. Being part of a church also means that you've got brothers and sisters who care for your soul. When a person is baptized, they are technically, sort of, a baby Christian. A baby lamb is not safe if they're not part of a fold. And, in the same way, when we are baptized, you want to become part of a church family. So if a man said to a gal, "I want to get married, but I don't necessarily want to live with anybody," well I don't think too many brides would go for that proposal. There is commitment involved and you need to find a Bible-preaching, teaching church that you can use your gifts. You want to use your gifts in the church that the Holy Spirit has given to you for witnessing. So, I would encourage you to keep the two together. Pastor Doug: Well let me tell you something interesting. I hear you've got--so yours is a geographic problem? Pastor Doug: I pastor a church here in Sacramento, Sacramento Central, we have people who periodically ask if they can join our church family; and they get fed, they are connected through the Internet, and they're up in the woods somewhere listening on a satellite dish Internet connection. They just don't have a church they can go to and so they are members of our church; but at least, they're connected somehow. Pastor Doug: They're getting fed regularly. They stream our church services on the Internet every week and our Sabbath School study, but at least they're still connected with a family. If you live by yourself as a Christian, you get eccentric. Pastor Doug: It's true. That's how it happens. You need to be studying with other people and keep yourself balanced spiritually. Mark: Right, that's true, that's true. Pastor Doug: And you know, we have a study guide that we'll send you about connection with the church. I think it's called, oh let me see we,--I'm still trying to learn the names for all of our new lessons. It's on the bride of Christ--there it is. Pastor Doug: It's on the bride of Christ. If you'd like to have a free copy of that, we'll send that to you. Pastor Jëan Ross: Mark, all you'll have to do to get that is just call our resource number; and the number there is 1-800-835-6747. And ask for the study guide, the Bride of Christ. It deals with the whole question of the church. Pastor Doug: The church, the true church. Pastor Jëan Ross: Do we need to belong to the church, and so on. Mark: Alright. Thank you very much. Pastor Jëan Ross: I think we have time for one more caller. Thanks for calling Mark. Our next caller, Stan, listening in New York. Welcome to the program. Stan: Hi, how are you? Stan: My question is a Sabbath question. Stan: For somebody that wants to keep the Sabbath, is it okay to pursue a career in law enforcement, to become a police officer? Now, the question I'm asking is, the written test, I found out, is on Saturday. The physicals are also on Saturday. And the six months of academy would be into Sabbath hours, in addition to being scheduled on Sabbath as a police officer. Is that Biblically acceptable? Or, what's your take on that? Pastor Doug: Well we certainly do need people who believe in the word of God in all fields. It's a great blessing to have folks in law enforcement. Even the Centurions that Christ commended, you know, the one at the cross said, "This is the Son of God;" and another one named Cornelius; and another one Jesus healed his servant. They were basically the policemen of the day. Pastor Doug: So there is the need for God to have His representatives in that field; but at the same time, it does create something of a dilemma if you want to keep the Commandments. Pastor Doug: You might go to those who are in positions of leadership and ask them and say, "Look, I've got these convictions about keeping the Sabbath holy which would prevent me from taking these tests and some of the schooling and physicals." There may even be a time when police officers would, for emergency purposes, go to service on the Sabbath. Pastor Doug: If there was some national emergency, they'd want to be able to preserve life. Pastor Doug: --and they want them to take tests on Sabbath; and some of them get really persecuted because they refuse to go. accommodate people because of their religious beliefs." You know, Muslims, they don't work on Friday. That's their sabbath; and I know there are Muslims in law enforcement. So just ask them is there a way for you to--you know,--they could, maybe, customize the program a little bit so you could go through it. Pastor Doug: --and, as soon as they get a call from a lawyer, they say, "Well yeah, we can make an exception," because there are laws in America that protect people's religious convictions. Pastor Doug: But you know, you might take it to the next level and see if there's something that can be done. Otherwise, just pray that God guides about what your career should be. Stan: Right. So if they didn't make any exceptions, is it safer to just go for a different career? Pastor Doug: I think you're going to keep running into problems. Hey friends, we're out of time for that question Stan. We're getting ready to take a break now. Listening friends, we're not going away. We are just taking a break and we'll be right back. Pastor Doug: Welcome listening friends, and for those of you who have just joined us somewhere along the way, this is Bible Answers Live. It is a live, international, interactive Bible study where we invite people from around the country and around the world to call in with their Bible questions. We do our best to search the word of God together and find the answers. The Lord promises that if we seek for truth, it will be found, and the truth will set you free. My name is Doug Batchelor. Pastor Jëan Ross: And my name is Jëan Ross. Pastor Doug, we have a new radio station joining the program tonight. KQAR, it's 107.1 FM in Shreveport, Louisiana. So anyone listening on 107.1 FM there in Shreveport, I want to welcome you. Maybe if you have a Bible question, give us a call and we'll try and get you on the air. Pastor Doug: Yeah, we'd love to hear from them tonight. 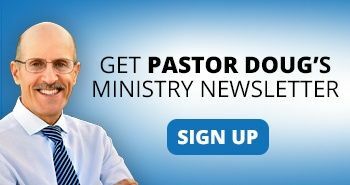 Pastor Jëan Ross: Pastor Doug, coming up in September is a very special program. We're calling it MAP, Most Amazing Prophecies. I know that this is something we were talking about in the past. Pastor Doug: Yes. Let me tell my friends about that. First of all, if they want to know a little more, they can simply go to the website. 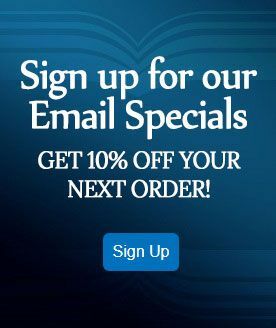 The website is simply called, mostamazingprophecies.com. And this is a series that is going to be 10 days where we are going from September 15th to the 23rd. It's actually 10 meetings over 9 days. We're going to take some of the most amazing prophecies in the Bible. We'll talk about the beast, the millennium, the second coming, Armageddon, the signs of the second coming and we're going to lay it out. A lot of people are confused about these final events of prophecy. And, prior to this, we're doing something that we're really going out in faith with Amazing Facts. We are doing a half an hour program, prime time, on September 11th on PAX network, which is also the I-Channel. Now Pastor Dwight Nelson, Dr. Nelson from Andrews University and I are doing an interview. 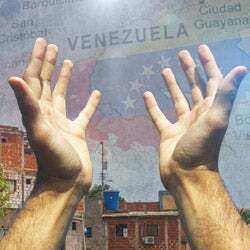 We're talking about the final events of Bible prophecy. We're giving away a free DVD and it's going to be right during the prime time broadcast hour; 91 million homes across North America. We're inviting people to register for this seminar so they can understand what's happening in the world now, especially with the interest in the Middle East and how volatile that is. People need to understand the prophecies. There's a lot of misinformation out there and we want people to know the truth that will set them free. So, if you'd like to know more about the Most Amazing Prophecies, some of you might like to have your church participate, go to mostamazingprophecies.com and you'll find out more about that program and how you can register and be involved. Pastor Jëan Ross: Alright, thank you. Let's go to the phone lines. Our next caller is Henry listening on 590 AM in Montclair, California. Welcome to the program Henry. Henry: --the movie. And she asked me a question you know; and after we talked about it I tell her don't believe that. That's wrong, you know, they pick up from here, from there, you know. And then they just kind of mix it up and it just, they kind of believe it. (Unintelligible) She asked me a question about Adam and Eve. They're the first persons on this earth? Henry: And (unintelligible) he marries with someone else. My question is who did he marry with? Pastor Doug: Yeah, that's a common question that people have because the Bible chronology, at first it just talks about Cain and Abel, then Cain takes his wife and leaves; and you say, "Wait, wait, wait, where did his wife come from?" It never said anything about any girls. It just said that Adam and Eve had boys. Well, you've got to read down in Genesis chapter 5. It tells you in verse 4 after he begat Seth, the days of Adam were 800 years and he had sons and daughters. It's saying as a footnote, Adam and Eve--you live 800 years--he had a lot of sons and daughters. And it was not uncommon or inappropriate for a man to marry his sister back at the beginning. Keep in mind, Adam and Eve were technically related. She came from his rib. They had the same Father; and so Adam and Eve were brother and sister. So it wasn't until the time of Moses it was considered genetically dangerous to marry your sister. Then laws were made because of uh, you know, you could get a narrow gene pool and have some birth defects. But Cain married his sister. There's no question about that. Now let me--[cross talk] go ahead Henry. Henry: Back then it's okay for a guy to marry his own sister back then in the family of Adam and Eve? Pastor Doug: Yeah. Keep in mind that, up to the time of Abraham, Abraham married his half sister Sara. Isaac married his first cousin. Jacob married his first cousin. It was very common back then. It wasn't until the time of Moses they finally said, "Alright, now as man began to multiply the genetic vitality was weakened with sin. It was not safe to marry within your family." And so to keep the vitality they said, "You need to marry outside of your family." But up until that time, they were marrying second cousins pretty commonly. Pastor Doug: Think about this. All the children of Israel, when they went to Egypt, there were only 70 of them. They were all related. They only married other Israelites for that first 300 years there in Egypt, right? Pastor Doug: Hey, let me tell you something, for your friend that was watching the Da Vinci Code, that movie has done a lot of damage to people's faith because it mixes some truth with fiction. I wrote a book that's called, The Truth About Mary Magdalene. Pastor Doug: And I spent several years researching this. I wrote it even before the Da Vinci Code movie came out; but a lot of people have taken that book, I think about 100,000 copies have gone out. If you wanted to order a copy of that, go to the Amazing Facts' website. They're very reasonable and share that with her. I think it will help her. Pastor Jëan Ross: Our next caller is Hector calling from Connecticut. Welcome to the program Hector. Hector: Oh thank you. God bless you Pastor Doug and, um, I forgot the name of the other Pastor. Pastor Doug: I forget his name too but he's here. It's Pastor Ross. Hector: [Laughs] Pastor Ross, that's right. My question is about Daniel chapter 8 with the time frame of the book of Revelation. Hector: --the work of the little horn. Hector: --or one of the four generals. Hector: --you know what I'm saying? I mean, this isn't the time of (unintelligible) and all of a sudden we were transported to almost the middle or almost the end of the time of the Roman empire. Pastor Doug: Lysimachus; and Seleucus' kingdom was the fourth. So there were the four divisions of the Greek empire. The Roman power came out of what they call the northwestern part of the Greek empire. When you get to Revelation, it talks about the dragon that has seven heads and ten horns. It's not an exact parallel. But in chapter 12 of Revelation, that is the same beast, but it starts out Rome. This dragon that wants to devour the man-child when he's born, that's the Roman power; remember King Herod had Roman soldiers kill all the babies in Bethlehem. And later, that Roman power is seen in chapter 17 with a woman riding it; and that's when it turned into the papacy connected with the Roman power. So, you're not going to see a perfect match between these visions because these visions are, sort of, giving different components of the characteristics of the beast. And they are, obviously, symbols. Pastor Jëan Ross: --later on in its history. So it is right on time. Pastor Doug: Starts with iron and turns into iron and clay. Pastor Jëan Ross: Hector, are you there? Hector are you still there? Hector: It's sequential. This is a sequence? Pastor Doug: Yeah, well the visions are sequential. You know, what I would recommend is we have an advanced series of study guides that deal with the prophecies in Daniel. If you call Amazing Facts or email and ask if you could sign up for those, they go through that, and it might give you the missing pieces you're looking for. But we probably ought to move to some of the other people who have been waiting. Pastor Doug: Thank you Hector. Pastor Jëan Ross: Thanks Hector. Leroy calling from Tennessee listening on WSGM, welcome to the program. Pastor Doug: Leroy, are you there? Pastor Doug: Hi, welcome, you're on the air. Leroy: How are you doing this evening Pastor Doug? Leroy: It deals with Matthew 8:11. Leroy: It says, "And I say unto you, That many shall come from the east and the west, and shall sit down with Abraham, and Isaac, and Jacob, in the kingdom of heaven." Leroy: And verse 12, "But the children of the kingdom shall be cast out into outer darkness:" Why are they referred to "the children of the kingdom"? To me that sounds like that would be the children to go to heaven. What kingdom is this? Pastor Doug: There are those who have--they are either part of God's people because they were, maybe, literal Israelites; or they're part of God's people because they go to church and their names are on the membership; and they have all the outward trappings of being children of the kingdom, but in their hearts they're not surrendered to the King. So there are those who claim to be citizens, but they're not loyal to the King. They're really rebels in heart. Jesus was telling--this statement is a warning for both ancient Israel and the modern church, for both. There were those who were literal Jews, but they rejected the Messiah. They said, "We don't accept Him." Christ said there are going to be some who come from the east and the west; they're Gentiles, and they're going to sit down in the kingdom with Abraham, Isaac, and Jacob. They may not be literal Jews, but they're going to be in the kingdom because they love the King. And likewise, there are people who might be church members, but they're worldly and they're not converted. And there are those who, maybe, aren't on the church books, but they love the Lord and they're following the light they have; and Christ is telling us there's going to be a big surprise when we get to heaven. We're going to see there are some people there who never made a profession of being part of the kingdom, but they love the King. That's really what He's saying. And those who are children of the kingdom, in other words, you would have thought that they were registered as citizens because they were either literal Jews, or they were church members, but they're not there because they didn't love the King. Pastor Doug: Hope that helps a little. Leroy: Helped a lot. Thank you. Pastor Doug: God bless, appreciate that. Pastor Jëan Ross: Thanks for calling Leroy. Our next caller is Robert listening on the Internet and calling from Alaska. Welcome to the program Robert. Robert: My question has to do with church and state separation. Robert: I know Jesus set the example when He said, "Give unto Caesar those things that are Caesar's and God those that are God's," separating church and state, and that we shouldn't legislate the first four Commandments. The Dark Ages showed us that. I know the prophecies teach that in the end times, it's going to happen again. My question is, if we know that church and state shouldn't come together and we shouldn't legislate the first four Commandments, why did God set up Israel as a church/state combination? Pastor Doug: Well it's true, Israel, when it was first established, was not a democracy or even a monarchy. It was a theocracy. And up until the time of Samuel when they said, "Give us a king like the other nations," they had really been led by the Lord. They had a priest and they often had judges, but they didn't have a state or a king. From the time they had a king, they began to drift further away from the theocracy. They turned into a monarchy; and then from the Babylonian captivity they were never even a monarchy again. Then they were governed either by the Babylonians, Persians, Greeks or Romans. Now they are not even a theocracy, Israel I mean. Now they're a democracy. But when they were a theocracy, the Shekinah Glory, the presence of God was right there in their midst; and so for them to violate those first four Commandments, it was punishable by death. They could look right there in the camp and see the glory of God in their midst. So for them to worship other gods in the presence of that evidence was punishable by death. Robert: Okay, I understand. Thank you Pastor Doug. Pastor Doug: Alright, thanks a lot, good question. Pastor Jëan Ross: Thank you for calling. Our next caller is Mike calling from Calgary, Canada listening on the Internet. Welcome to the program Mike. Mike: and Pastor Doug, thank you for taking my call. Mike: I have a question regarding 1st Timothy chapter 4, verses 1 through 5. I won't go through all of them, but I'm sure you've probably heard this question before; and actually, I've heard the answer once before but I forgot it. Mike: The one about, "Forbidding to marry, and commanding to abstain from meats." And, you know, specifically verse 4, "For every creature of God is good, and nothing to be refused...." Are they talking about food here? Pastor Doug: Well let me read this to our friends because not everyone is acquainted with it. 1st Timothy 4, verse 1. "Now the Spirit speaks expressly, saying in the latter times some will depart from the faith, giving heed to deceiving spirits, and doctrines of demons; Speaking lies in hypocrisy; having their own conscience seared with a hot iron; Forbidding to marry, and commanding to abstain from foods that God has created to be received with thanksgiving by them who know and believe the truth. For every creature of God is good, and nothing to be refused, if it be received with thanksgiving: For it is sanctified by word of God and prayer." Now some have taken this verse to say, "Well obviously it's saying here, 'every creature of God is good, nothing to be refused. If you pray over it, you can eat anything.'" But the same people who say that don't really believe it, because I've never yet met any parents who would allow their children to eat a hot fudge sundae for breakfast and say, "Don't worry mom and dad, I've read this Scripture here in 1st Timothy and I'm going to pray that God will bless this and make it nutritious, even though I know very well it's almost all fat and sugar." No parents would fall for that. That's called mocking God. This verse, obviously, doesn't mean that we can make a cockroach, skunk sandwich and eat that, and that God doesn't care if we eat maggots and vultures. The Bible calls those detestable things. Peter, even after three and a half years after Christ rose, said, "I have never eaten anything common or unclean." So Jesus never taught that. The issue that Peter is talking to Timothy about, they had a big problem in the early church eating animals that had been sacrificed to idols in the temple; now talking about clean animals. They're talking about sheep and goats and cattle that were declared clean, but they had been offered to idols before they were sacrificed. So you notice it says here, "Forbidding to marry, and abstaining from foods which God created to be received with thanksgiving"? This false religious group is commanding people to abstain from foods which God created to be received. The word of God tells us some things are sanctified by the word of God and some are not, see what I'm saying? Pastor Doug: --and they say you can't eat fish on Friday, you hear where I'm going? Pastor Doug: Has nothing to do with the way that this is used by many. You want to add to that, Pastor Ross? Pastor Doug: Yeah, and you know technically, if people take this verse the way some do, "Every creature is good, just pray over it," cannibalism is okay. Pastor Doug: Right? Every creature? I'm a creature. You're a creature. We can all eat each other? Pastor Doug: I mean, obviously, this verse has been very abused by people to justify eating anything that crawls across their plates. Pastor Doug: Exactly! Just read it in context, read it slowly. Mike: --you know, at first people just read it too fast and just really emphasize the other part so they can--but uh, no. That certainly answers my question. Pastor Doug: Alright. Hey, thanks very much for your question Mike. Pastor Jëan Ross: Our next caller is Carla in New York, New York listening on WAMC. Welcome to the program. Carla: Can I just read it? Carla: It's out of the complete Jewish Bible. Anyway, "On the contrary, you have come to Mount Sion, that is, the city of the living God, heavenly Jerusalem; to myriads of angels in festive assembly; to a community of the first born whose names have been recorded in heaven; to a judge..." so on and so forth. But my question is, who is the community of the firstborn; and then in verse 23, the "spirits of righteous people who have been brought to the goal;" and in 24, "and to the sprinkled blood that speaks better things than that of Abel." Who are those three? Pastor Doug: Good question. In Revelation chapter 5, it also talks about 24 Elders around the throne of God. Now, we said at the beginning of this program, the Bible teaches when someone dies they sleep until the resurrection and the judgment, which is at the second coming; and there are tons of Scripture on that. Jesus said to Mary, "God will raise them up at the last day." Well how can they be asleep if they're some still in heaven? The Bible tells us there are some exceptions. One exception is, of course, Enoch went to heaven. He was translated without death. Elijah was caught up to heaven in a fiery chariot. Moses was resurrected by Michael, and that's in the book of Jude. And then when Jesus died, in Matthew 28, it tells us, "And many of those saints that slept in Jerusalem," it doesn't say all, it says "many", "coming out of their graves after His resurrection they went into the city and appeared to many." These ascended with Christ as sort of a trophy when He went to heaven. So there has been evidence of some special resurrections. That's probably who comprises the 24 Elders around the throne of God. But the general resurrection--the dead are asleep. It says that they don't come out of their graves until the second coming, that's 1st Thessalonians chapter 4. So that assembly that it's talking about here in Hebrews, that's that cloud of witnesses. Pastor Jëan Ross: You know in Ephesians chapter 4, verse 8, talking about after the resurrection of Jesus and His ascension, the Bible says, "Wherefore he saith," speaking of Christ, "When he ascended up on high, he led captivity captive, and gave gifts unto men." Some scholars feel that those that Jesus led with Him, sort of His first fruits, were those that were resurrected in that special resurrection at the time of Christ's death. Pastor Doug: Yeah, but this, obviously, was not the universal resurrection because there are too many Scriptures that talk about when the Lord descends from heaven the dead in Christ will rise. Pastor Doug: --you would really appreciate the lesson that we offered at the beginning of the broadcast. It's free. It would be a blessing to you because it addresses this and many other questions in it. Okay Carla? Carla: What was that one? Pastor Doug: It's called, "Are the Dead Really Dead?" It's a good lesson on the subject of death and the resurrection. Pastor Jëan Ross: All you'll need to do to get this is just call the resource number. It's 1-800-835-6747 and ask for the study guide, "Are the Dead Really Dead?" Our next caller is John. Welcome to the program John, listening on WBAJ from South Carolina. John: Good evening Pastor Doug. Pastor Doug: Hey John you know, you're the manager of that station there. It's on the Amazing Facts board, so you can say hello to Linda for us. John: Oh okay I will do. Pastor Doug: And your question tonight? John: Yes, a quick one for you. My wife is listening on the phone. The second coming of Christ, the resurrection, when all the dead in Christ are taken out of the grave and they ascend into heaven, the question is are we going to be able to recognize our family and our family from, like, three, four, five hundred years ago, our family tree? Pastor Doug: Yes. You read in 1st Corinthians chapter 13, it says, "Then we shall know even as we are known." And so really what we need to ask is, "When we get to heaven and we have our glorified bodies," obviously our bodies are going to be a lot better, you would agree with that, right? Pastor Doug: Our minds will be a lot sharper, meaning our abilities of discernment. Now, right now man's senses have been clouded and numbed by sin. Before sin, we had a spiritual discernment that we don't have anymore. So when we get to heaven, we're going to have a spiritual intuition that will sharpen our ability to recognize people. It's like putting on special glasses that we'll see who folks really are when we get to heaven, even though their bodies will be glorified. You know, Grandma is not going to have an old, wrinkled, bent over body in heaven. And so how are we going to recognize grandma? She's going to be ravishing. Pastor Doug: And we'll recognize her because of the essence of who she is. So our gifts of discernment will be sharper. Okay? Pastor Doug: That was 1st Corinthians chapter 13, I forget what verse that is, but it's there. Read the whole chapter, it's a good one. John: Okay I appreciate it. Pastor Jëan Ross: Alright, thanks for calling. Our next caller is Tammy calling form Tulsa, Oklahoma, listening on the Internet. Welcome to the program Tammy. Your question? Tammy: Yes. I was reading in Job 1, and it kind of starts Job 1, verse 6, talking about how the angels presented themselves before God and then Satan went with them. And I was just wondering if Satan is still allowed to go into heaven, or still communicates somehow with God? Pastor Doug: Well, of course, God hears everything so He's aware of that. But if you read in Revelation 12, it calls Satan, "the accuser of our brethren...which accused them," and it identifies him--you just can't miss it, it calls him Satan and the devil, the dragon,--"which accused them before our God day and night." And what's that verse in Ezekiel, Pastor Ross, where it says that Satan stood before Joshua the high priest to accuse him? And so the devil does the same thing he did with Job. He stands before the people of God and he says, "You can't save them." When Jesus came to resurrect Moses in the book of Jude, it says Michael comes to resurrect Moses, the devil resisted. He [Satan] accused Moses and said, "You can't take Moses to heaven. He lost his temper and he hit the rock twice." The devil is always the accuser of the brethren. What was it? Did you find it? Pastor Jëan Ross: Zechariah 3. Pastor Doug: Zechariah, I said Ezekiel, I'm sorry. Zechariah chapter 3 it talks about the same kind of debate. So Satan probably still is the accuser. It says here in Revelation 12, "day and night." When you and I trip up, the devil loves to say to the Lord, "See that? They don't really love you." And when you and I are faithful, Jesus confesses our names before the angels and His Father in heaven. Pastor Doug: Yeah. Well the devil, he might have different insights because he is a spirit; but he's down here shaking his fist at God; he knows that God hears him. Pastor Doug: That you. And that runs out our time for this program. But by the way, if you're still listening Tammy, we have a study guide that talks about, "Did God Create the Devil?" and it explains this relationship. Anyone listening out there, if you want to know why a loving God would make a devil, or if He even did make a devil, ask for that free study guide, "Did God Create the Devil?" That number again is 1-800-835-6747 is the resource number. We'll send that to you. Don't forget to take advantage of the website, very simply, amazingfacts.com. I found out we've got over a million hits a year at that website. And a lot of resources. It's a tree of life friends. So go to amazingfacts.com; find out about even questions on this broadcast. Keep in mind, we do this because we want people to know Jesus. It's not just the details. It's all about the Person--He is the truth that will set you free. Explain what the word apostle means.